Made Up Of Thick 25Mm & 18Mm Mdf Wood With Glossy White Pu Paint. 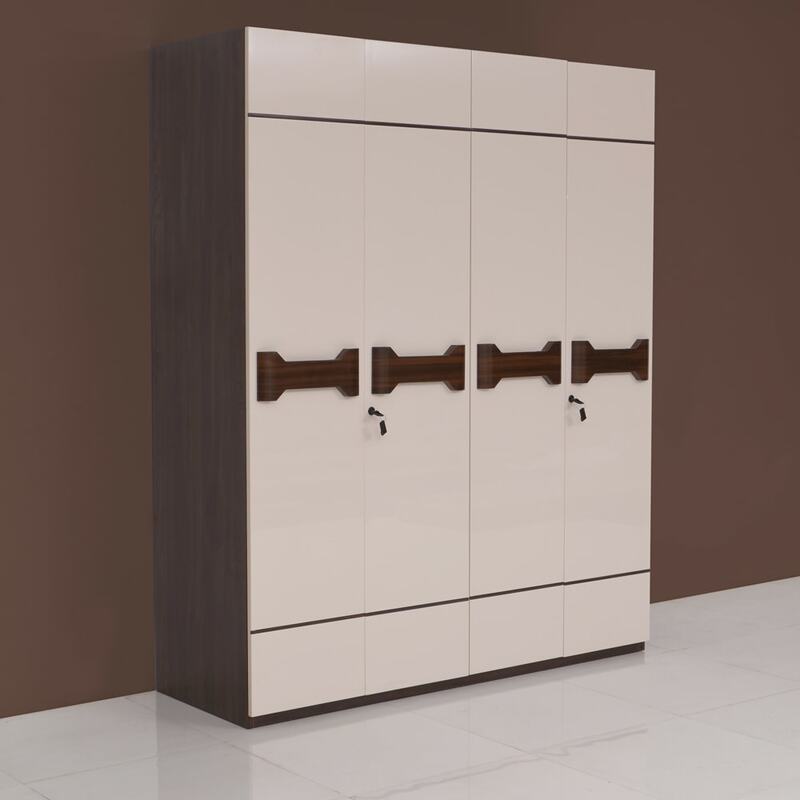 4 Door Wardrobe In 2 Tone With Drawer With Lock, Adjustable Sheves, 9 Mm Back Ply For Strength. Designer Handles.